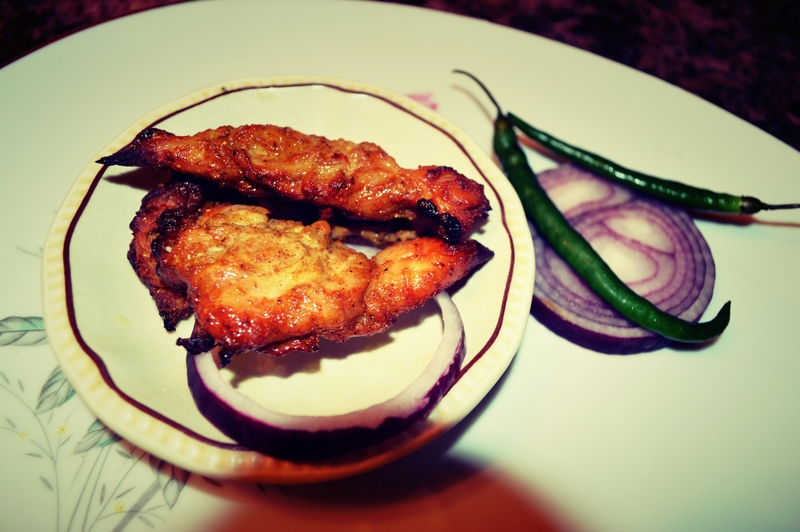 Mouthwatering Monday – Chicken Tandoori in Oven | My Journey So Far…. This is my kids scream every time they are hungry. How much chicken can you want? Well, when it comes to kids, they have their own preferences. Mix Yogurt with lemon juice and rest of the spices to make a thick paste. Use this paste to Marinate Chicken for 6-12 hours or overnight in refrigerator. 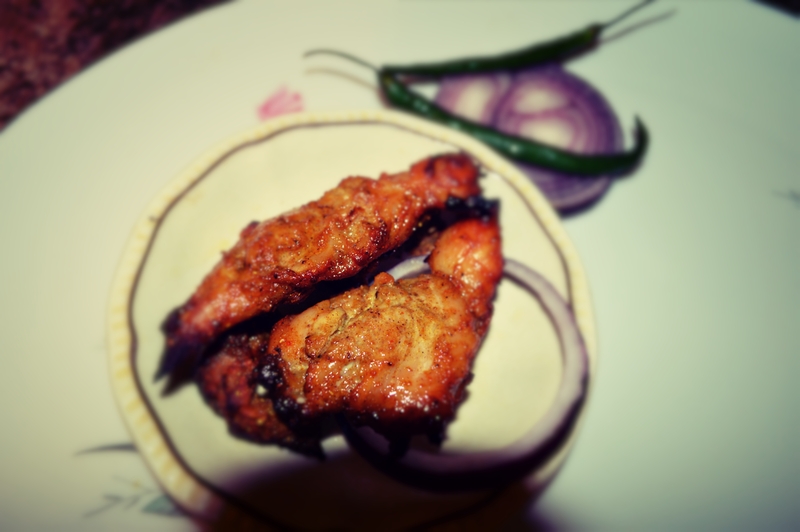 You can marinate chicken with the ingredients of your choice. Like if you don’t prefer having red chili you can totally avoid that. Before cooking, let the chicken rest out of fridge for half hour. Lay down chicken pieces on Rack over a pan. Cook them for 30 minutes then turn them over. Cook again for 15-20 minutes and then put off the oven. Let the chicken rest for 30 minutes. Garnish with ingredients of your choice, like Onions, green chili, lemon or cilantro.